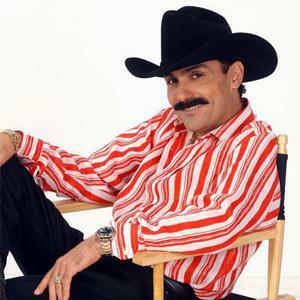 Ernesto P?rez (born in Badiraguato, Sinaloa) better know by his stage name El Chapo de Sinaloa (Spanish: The Shorty from Sinaloa), is a Mexican norte?o/banda singer. He first played with local groups at age 11 as a clarinetist. Later, he learned to play bass, and found work as a session musician with regional Mexican labels. In the 1990s he signed with EMI Latin and launched a solo career. Since then he has released over a dozen albums, which have been successful both in Mexico and the United States; he has recorded for Sony Discos and D Disa. He first played with local groups at age 11 as a clarinetist. Later, he learned to play bass, and found work as a session musician with regional Mexican labels. In the 1990s he signed with EMI Latin and launched a solo career. Since then he has released over a dozen albums, which have been successful both in Mexico and the United States; he has recorded for Sony Discos and D Disa. His 2007 album Te Va a Gustar was his most successful in America and was nominated for a Latin Grammy.